I am so honored to be among this year’s MVP award recipients! 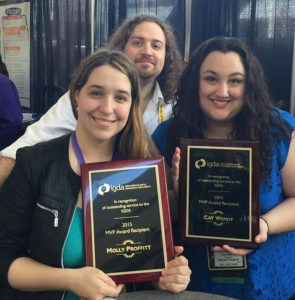 I’ve always been in awe of the work these amazing folks do, so it was such a wonderful surprise to be included with them this year for my work on the IGDA’s online harassment resource and the IGDA Perspectives Newsletter, among other things. 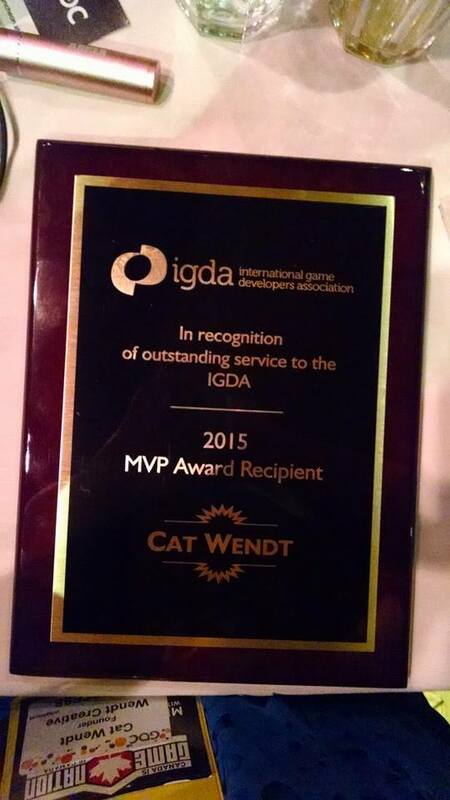 Thanks to the incredible Kate Edwards, Tristin Hightower, and the IGDA Board for this honor. And congrats to my fellow recipients! From left to right: Molly Proffitt, Luke Dicken, and me!